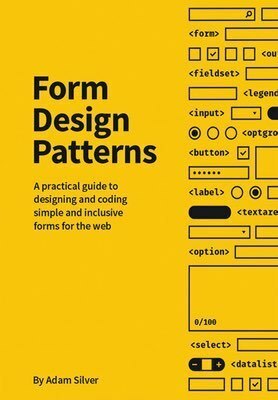 Without forms, the web is a passive experience where content is just consumed. But with forms the web can be collaborative, creative and productive. Forms are at the center of every meaningful interaction, so they’re worth getting a firm handle on. The book contains ten chapters. Each one represents a real-world and common problem that we’ll solve together step by step. Design is just as much about asking and understanding questions, as it is about creating solutions. So we’ll spend time doing just that: discussing the problem, weighing up the options and creating technical solutions that are simple and inclusive. Each chapter revolves around a specific problem because that’s how we solve problems in real life. But don’t be concerned, many of the styles, components and patterns born out of each chapter are reusable and applicable well beyond the specifics and you’ll see examples of this as we move through the book. By the end of the book, you’ll have a close-to exhaustive list of ready-to-go components, delivered as a design system that you can fork, contribute to and use immediately on your projects. But more than that, you’ll have the mindset and rationale behind when or when not to use each solution, which is just as important as the solution itself. 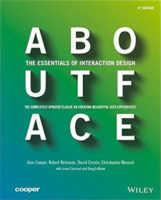 Ultimately, this book is about understanding what users need. Users are people and people are different. So we’ll be considering multiple interaction modalities and how to help users work under situational — temporary or permanent — and environmental circumstances. That’s why we’ll be looking at every problem through an inclusive design lens: because good design is inclusive.